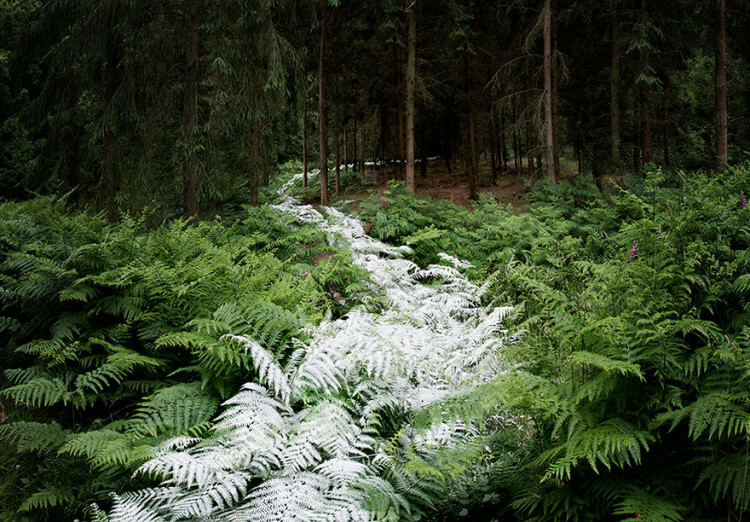 Artist Ellie Davies is based in London but creates most of her work in the forests of the UK. 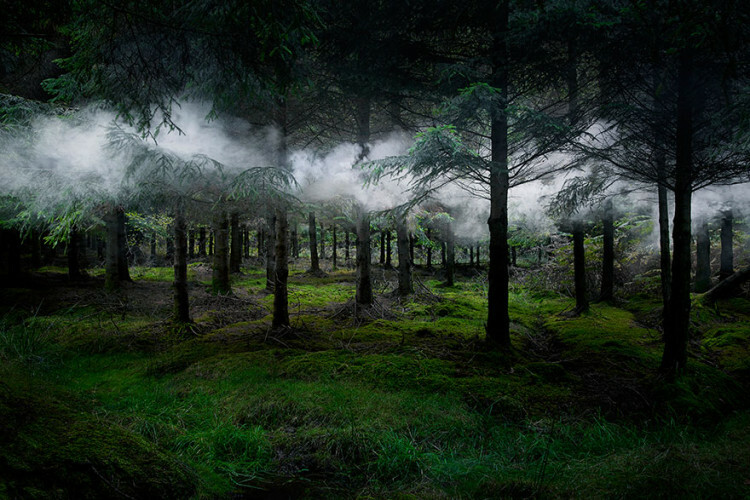 Davies uses the natural setting as a studio for temporary installations–a painted tree, eerie clouds of smoke, curious organic forms–which she documents in ethereal photographs. 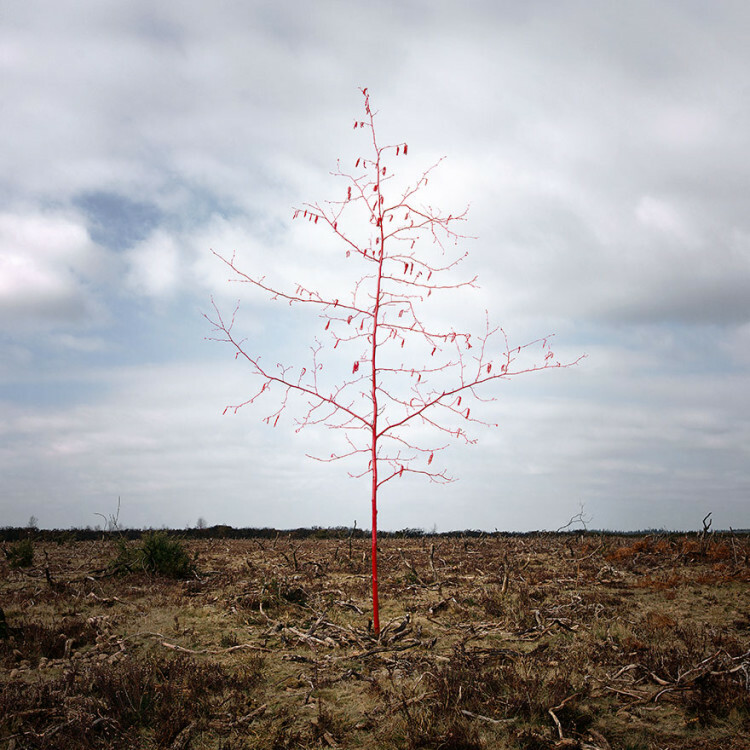 According to Davies, her installations cause no damage to the forests and once completed, are removed entirely. 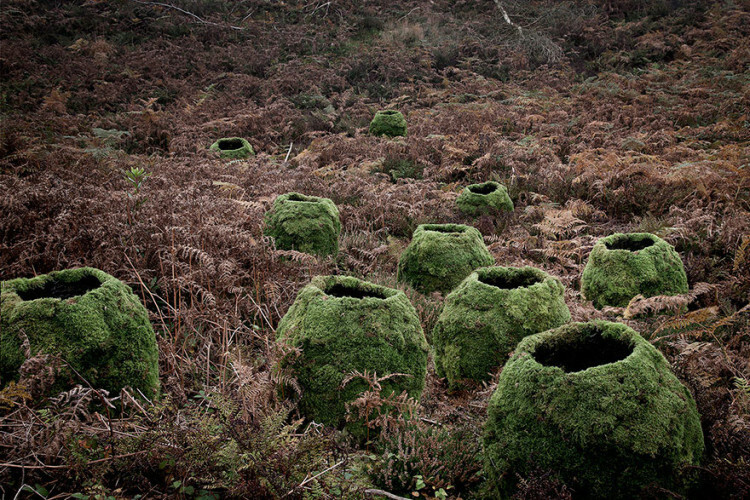 These altered landscapes operate on a number of levels. 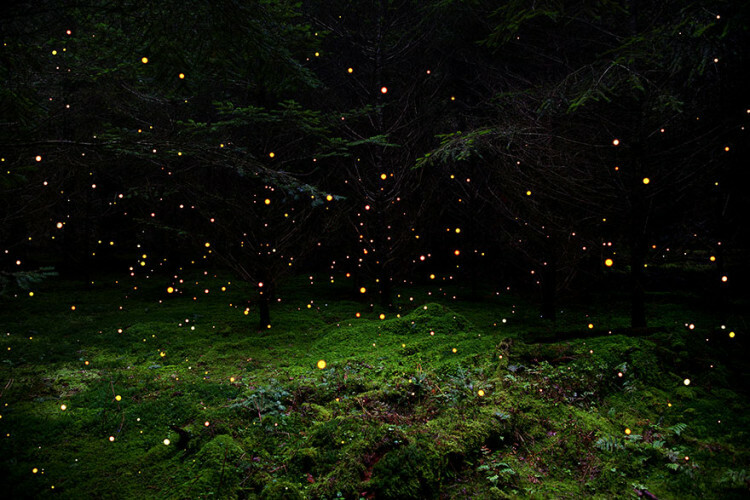 They are a reflection of my personal relationship with the forest, a meditation on universal themes relating to the psyche and call into question the concept of landscape as a social and cultural construct. 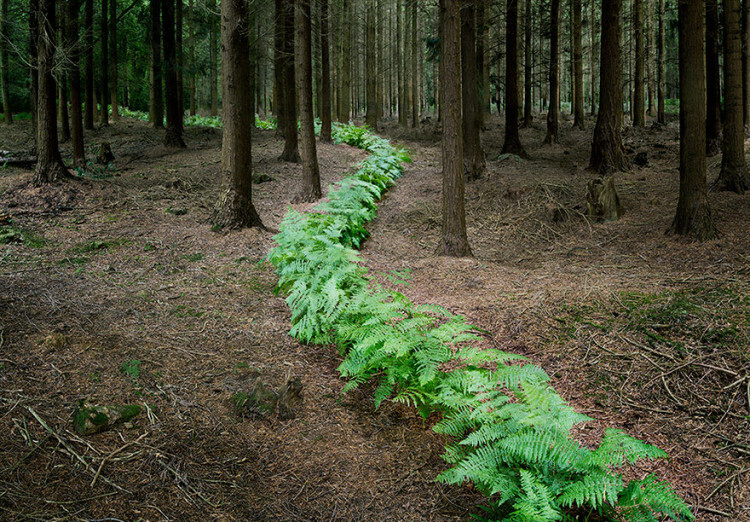 Most importantly they draw the viewer into the forest space, asking the them to consider how their own identity is shaped by the landscapes they live in.